Prime Minister Sheikh Hasina has called for raising awareness among the people about the use and benefits of electronic tendering through the use of mass media, particularly the television channels including BTV. She made this call while addressing as the Chief Guest the inaugural session on the occasion of the opening of the national electronic government (e-GP) procurement portal (www.eprocure.gov.bd) on June 2, 2011 at the Bangabandhu International Conference Centre (BICC) at Sher-e-Bangla Nagar in Dhaka. The Central Procurement Technical Unit (CPTU) within the Implementation Monitoring and Evaluation Division (IMED) of the Ministry of Planning organized the inauguration ceremony at 10:30 am. TThe Prime Minister expressed the hope that with the full and successful implementation of the electronic procurement in the country, the menace of tender grabbing and snatching will be removed and the process will be more transparent, accountable, competitive and free from any corruption. The e-GP portal, now open for registration, has been developed by the Central Procurement Technical Unit (CPTU) of the Ministry of Planning. The e-GP web portal was officially inaugurated by the Prime Minister to start e-tendering initially in four procuring entities (PEs) of four target agencies under the Public Procurement Reform Project-II supported by the World Bank. Minister for Planning Air -Vice Marshal (rtd) AK Khandker, State Minister for Science & ICT architect Yeafesh Osman, and Country Director of World Bank Dhaka Office Ellen Goldstein spoke on the occasion as the special guests with Secretary of the IME Division Md Habib Ullah Majumder in the chair. Director General of CPTU Amulya Kumar Debnath delivered the address of welcome at the inaugural session. A large number of guests including members of the Cabinet,members of the Parliament, government officials, representatives from the private sector, development partners, professional bodies, business and bidding community, civil society, media, academics, think-tanks attended the inaugural ceremony. After the inaugural session the Prime Minister formally clicked the button on the computer and launched the e-GP web site (www.eprocure.gov.bd). The Prime Minister in her speech laid emphasis on the compliance with the Public Procurement Rules (PPR) to ensure quality of goods, works and services procured with the public funds. She said, “The government is accountable to the people to ensure transparency in spending their money for public procurement.” “I think training on public procurement, particularly on e-tendering is equally needed for the government procurement officials, and the members of the bidding community in the private sector,” she observed. The Prime Minister urged all concerned in the implementation of the e-GP system in the country and raise awareness about it among the stakeholders and the people. After the introduction of e-tendering in four procuring entities of four target agencies it will be expanded to 16 PEs of four agencies and CPTU. Later, a total of 308 PEs of the four agencies will come under the system. Gradually all PEs of the government will come under the e-GP system. The e-GP system is a single web portal from where and through which procuring entities (PEs) will be able to perform their procurement related activities using a dedicated secured web based dashboard. 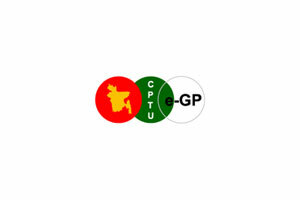 The e-GP system is hosted in e-GP Data Center at CPTU. The e-GP web portal is accessible by the PEs, bidders and others concerned through internet for their use. The e-GP has been operational in some states of India, South Korea, China and some other countries in Asia. Their experiences show that the use of e-GP in public procurement reduces costs and time. Moreover, the system is safe and secure.